• You support us. You want to help us make a difference. •	You are practical. You value your time and convenience. •	You feel blessed -- or lucky -- and you want to pay it forward. •	You want to maximize your tax deduction. •	You want some feel good closure. 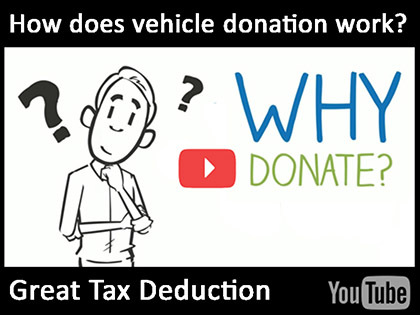 Whatever your reason for donating a car, we make it so easy. Simply tell us a few key details, or call to speak with a knowledgeable and friendly Coordinator. We can be reached 7 days a week, at 888-250-4490.